We hope you are enjoying eLearning Guilds’ Data & Analytics Summit! Xyleme’s content management system helps learning and development professionals author, publish, deliver, and analyze content more efficiently. you probably are interested in… Analytics! 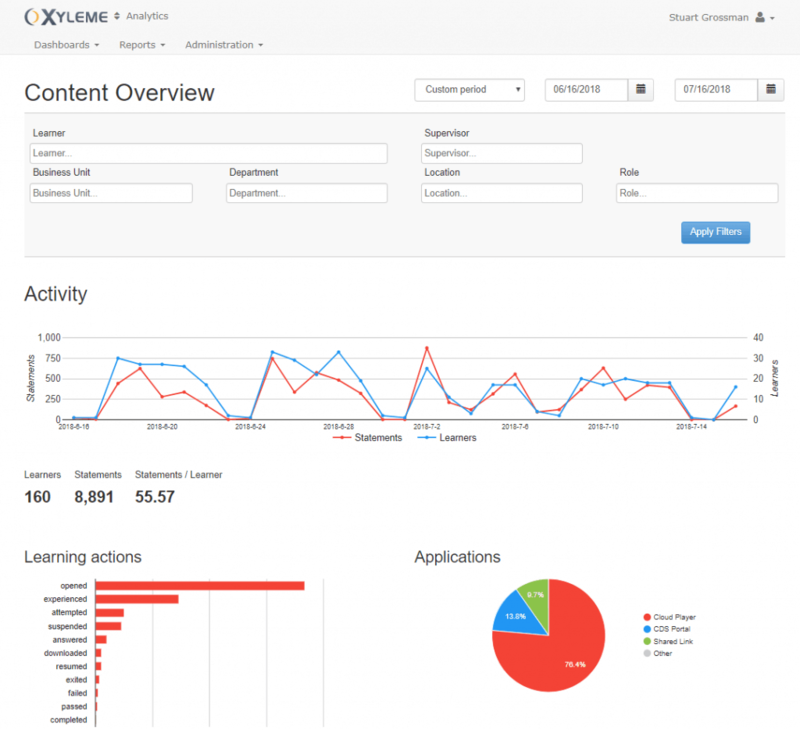 Here is How Xyleme Can Help You Analyze the Effectiveness of Your Learning Content. Xyleme provides a very powerful analytics tools as a part of CDS. Xyleme Analytics go far beyond basic LMS analytics and gain insights into which specific parts of a course are being looked at, helping you determine the most relevant segments of your content. Turn your learning content into a business asset with clear metrics around which training is driving change. If your learning and development team can show that their training is making employees and sales teams more effective quicker, then you are speaking directly to business needs and ROI. 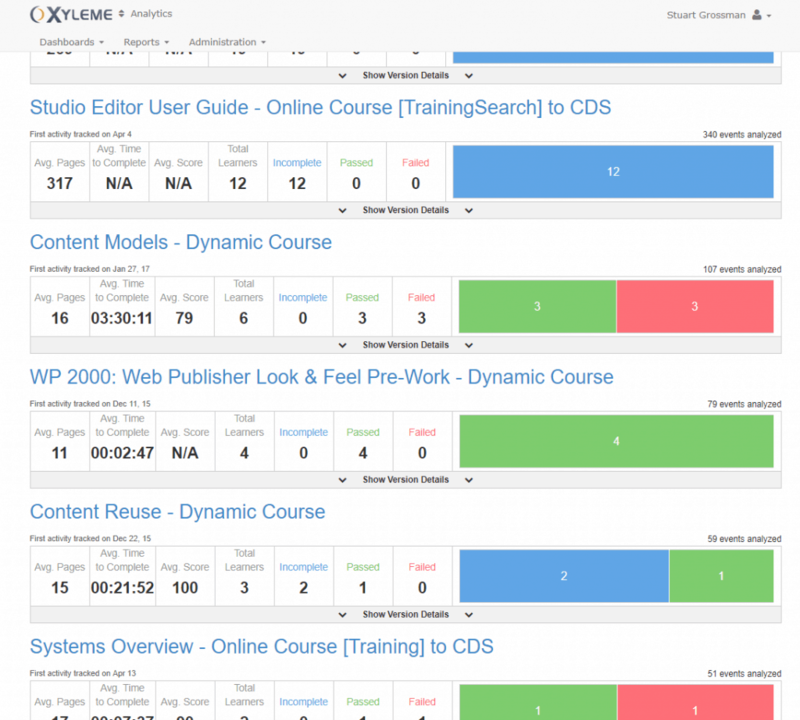 Xyleme’s CDS is xAPI-compliant and tracks how your learners interact with your content. See how your content is accessed, by whom, and on what devices, and use those insights to cater your content to the needs of your learners. Here is a blog from Xyleme that we think you will find helpful. 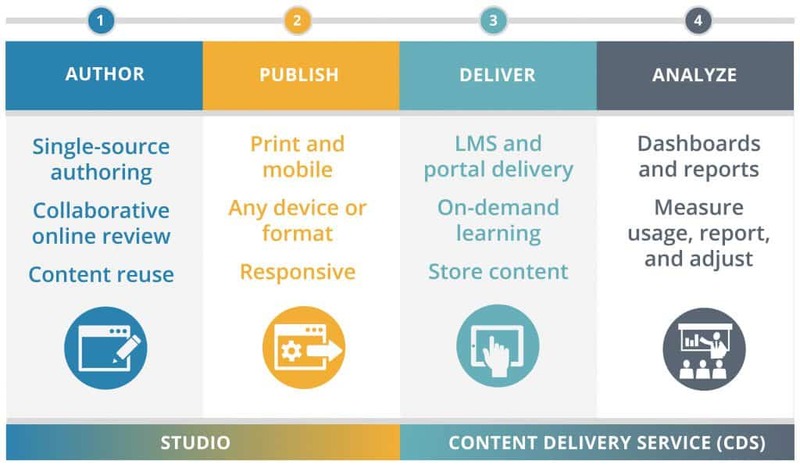 Our content management platform helps learning and development professionals author, publish, deliver, and analyze content more efficiently.